Finished quilt size: 46" x 60"
NOTE: Quilt shown is the throw size. 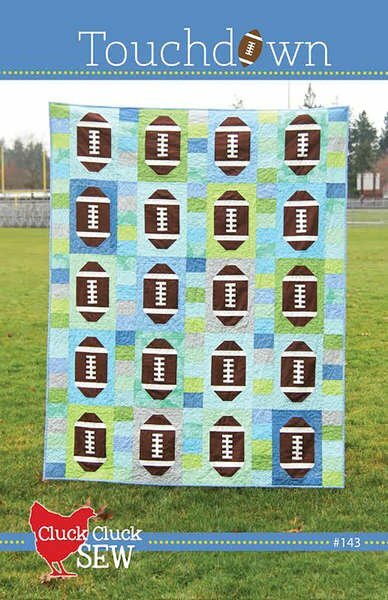 Kid/Baby quilt contains only 12 football blocks. BACKING NOT INCLUDED IN THIS KIT. Please purchase 3 yards for the backing.